At Delta Mechanical, we offer same day installation on any tank type water heater if ordered before 2pm! If you have questions about a new water heater installation type, our knowledgeable technicians can answer your questions. Our staff members can enlighten you about the benefits of the diverse selection of water heaters available, including Gas, Electric, and Tankless Water Heaters. Tankless and solar water heaters are great upgrades for any household. 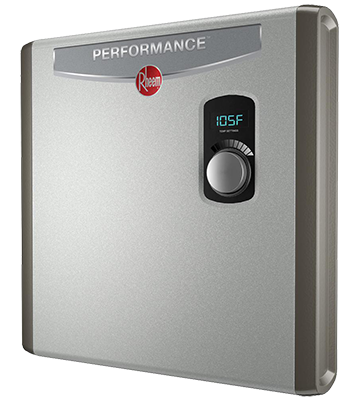 Tankless water heaters offer an endless supply of hot water, on average use 30 to 50 percent less energy, and can save homeowners hundreds to thousands in the lifespan of the heater. Solar water heaters are even better financial savers by using the natural energy of the sun rather than electricity, gas, and limited fossil fuels.